Moms and magazines go together like Sunbutter and jelly. Even though I adore Pinterest and faithfully follow my blog roll, nothing beats curling up on the couch with a new magazine. 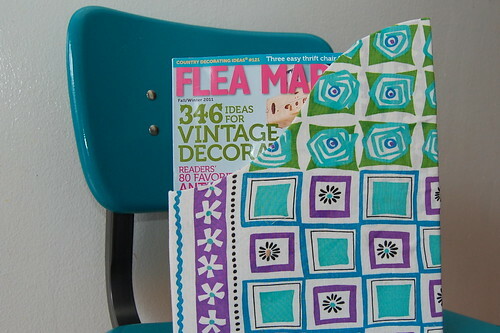 What mom would not like a subscription to her fave mag and a spiffy magazine holder this Mother's Day. 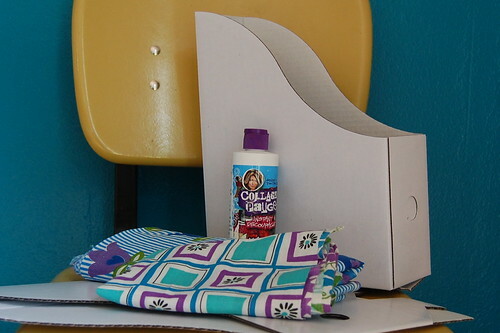 SUPPLIES Cardboard Magazine Holder (mine is from Ikea) Crafty Chica Paint White Scissors Collage Pauge Matte Fabric Paint Brush As I mentioned I got my cardboard magazine holders from Ikea. 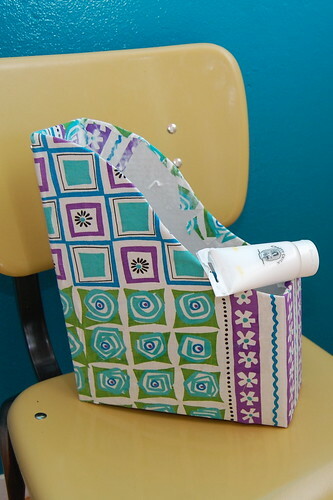 However, you can easily make your own from an old cereal box. 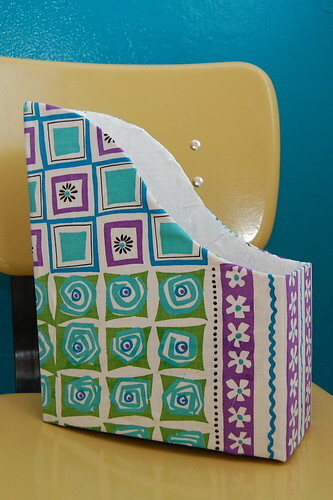 The first thing to do is coat your box with Collage Pauge decoupage medium. 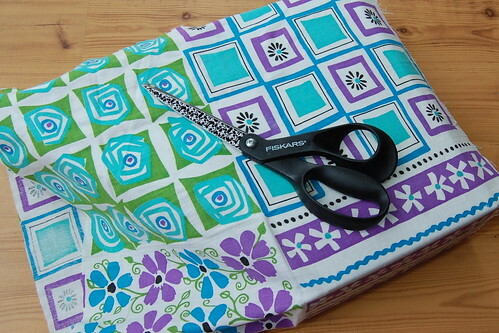 Wrap your magazine holder in fabric. Be sure to put the seam in the back. Also make sure there is some overage. Smooth out all the lumps and bubbles. 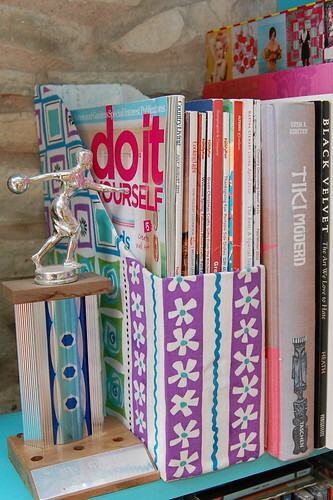 After you wrap and trim you will have some rough edges on the inside of your magazine holder. At this point it is up to you if you are done. 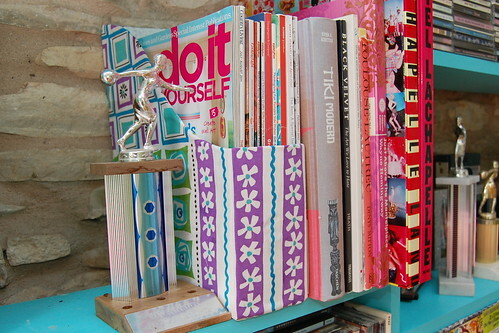 Truthfully, once the holder is full of magazines you will never see the inside. 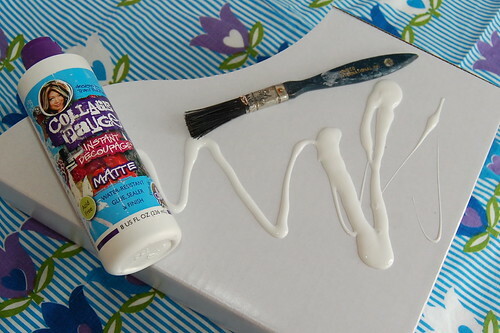 However, if you are like me and it will keep you up at nights go in with some white Crafty Chica paint and paint the inside white. All that is left to do is order mom her favorite magazine subscription to go along with her new fancy holder. 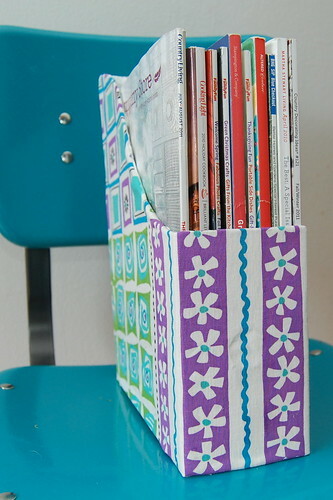 If your mom is like me (or my mother) she already has a stack of magazines on hand ready to fill her new holder with. Visit us on Facebook!